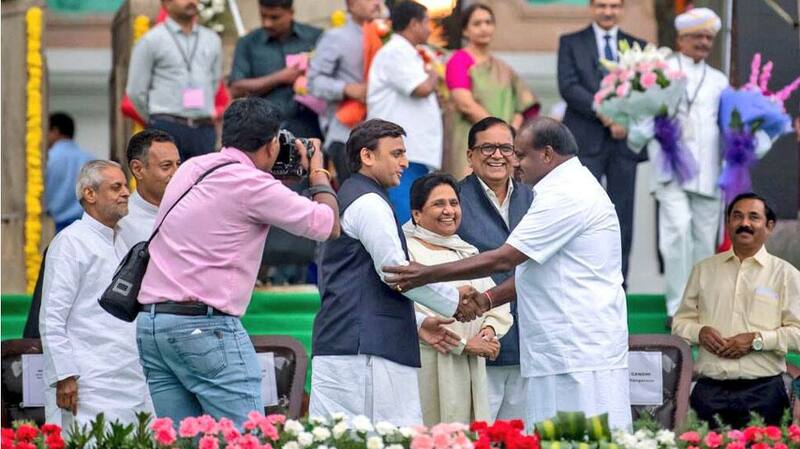 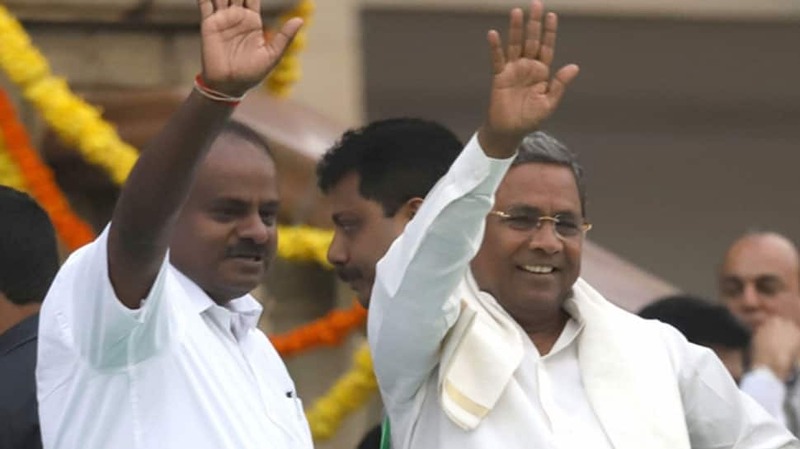 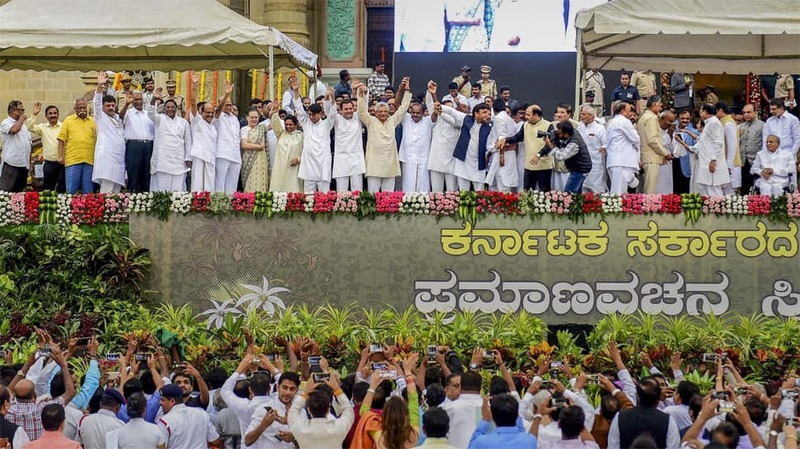 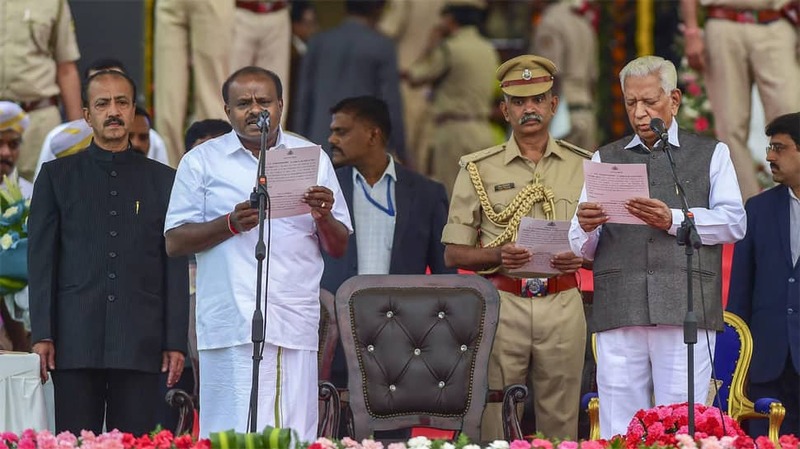 HD Kumaraswamy was on May 23, 2018, sworn-in as Karnataka CM at a grand ceremony attended by a galaxy of top leaders and regional satraps. 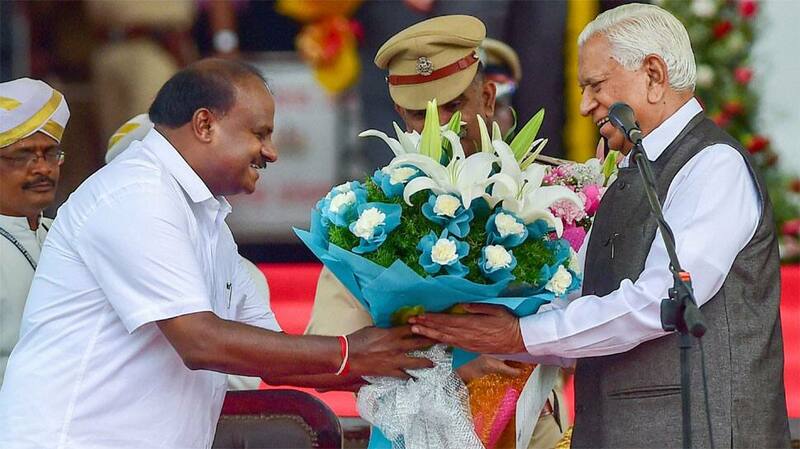 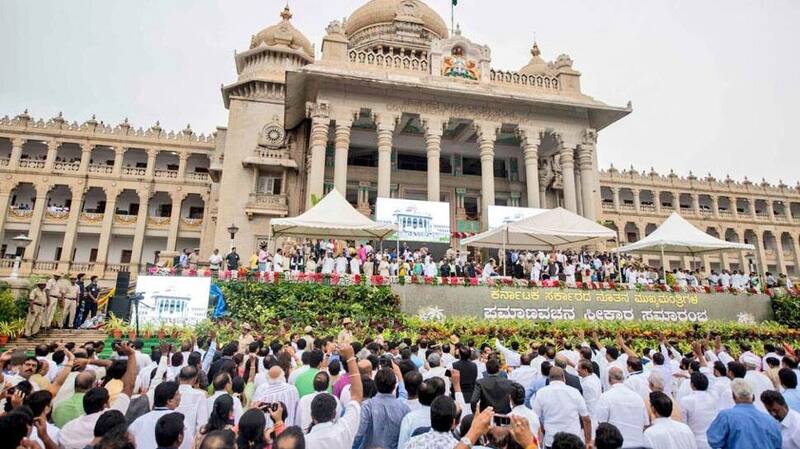 Third son of JD(S) supremo and former PM HD Deve Gowda, was administered the oath of office and secrecy by Governor Vajubhai Vala on a huge dais outside the majestic Vidhana Soudha, the seat of power in Karnataka. 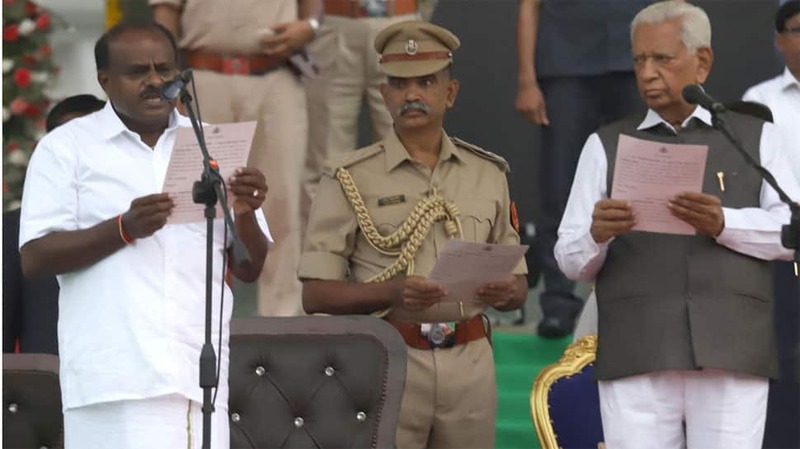 Attired in a 'dhoti' and white shirt, 58-year Kumaraswamy took the oath in the name of God and 'Kannada Nadu', as hundreds of his supporters cheered loudly. 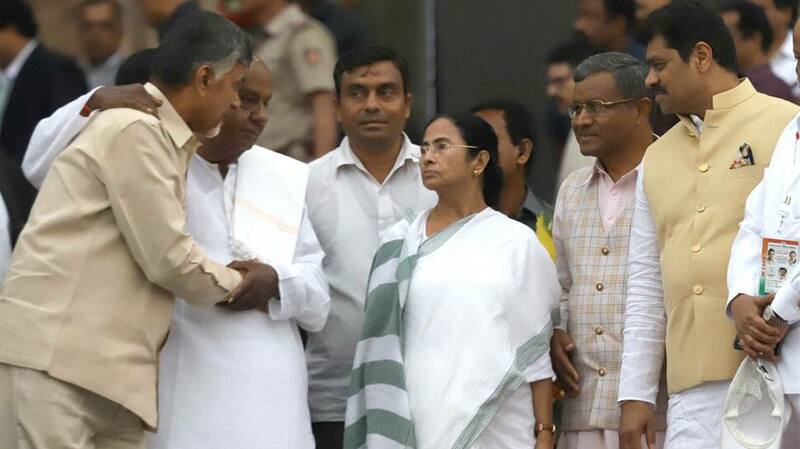 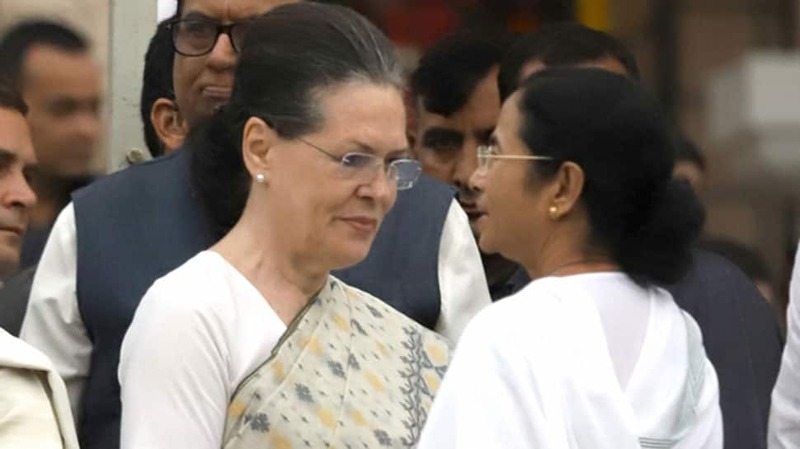 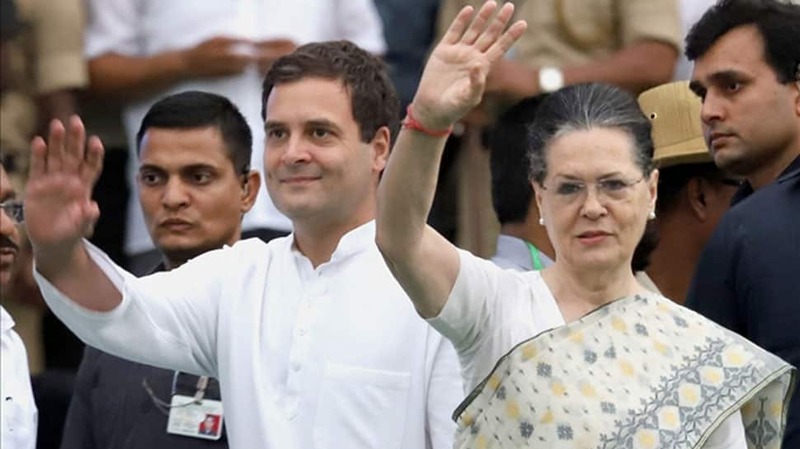 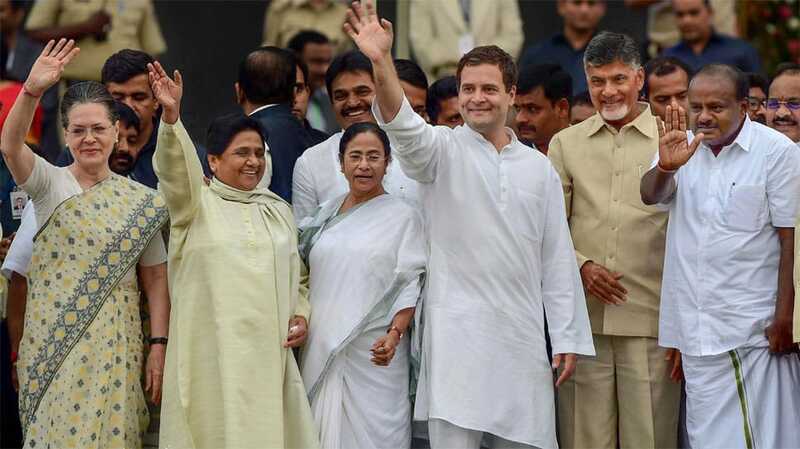 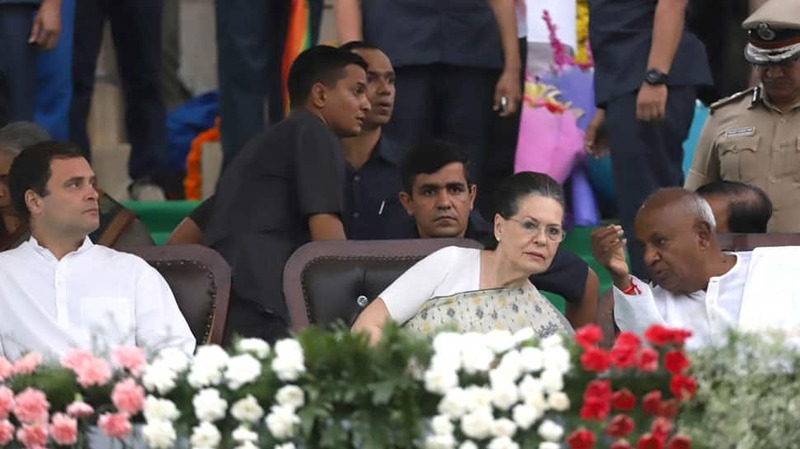 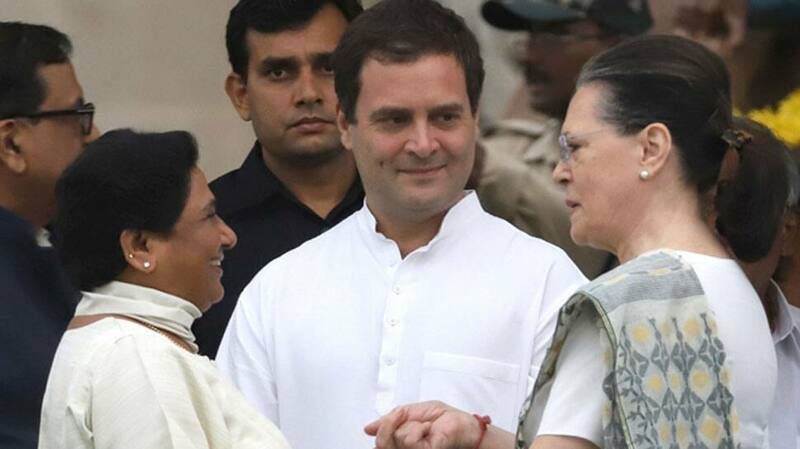 Congress president Rahul Gandhi, his mother and UPA chairperson Sonia, West Bengal Chief Minister Mamata Banerjee, N Chandrababu Naidu, and Pinarayi Vijayan, her counterparts in Andhra Pradesh, and Kerala respectively, were present. 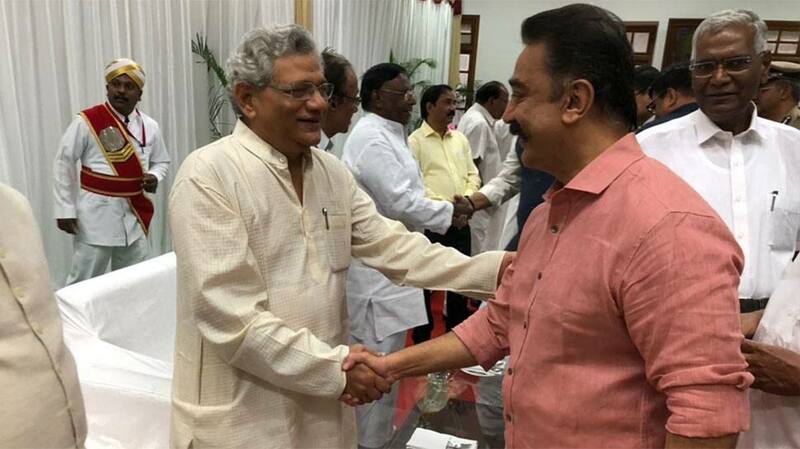 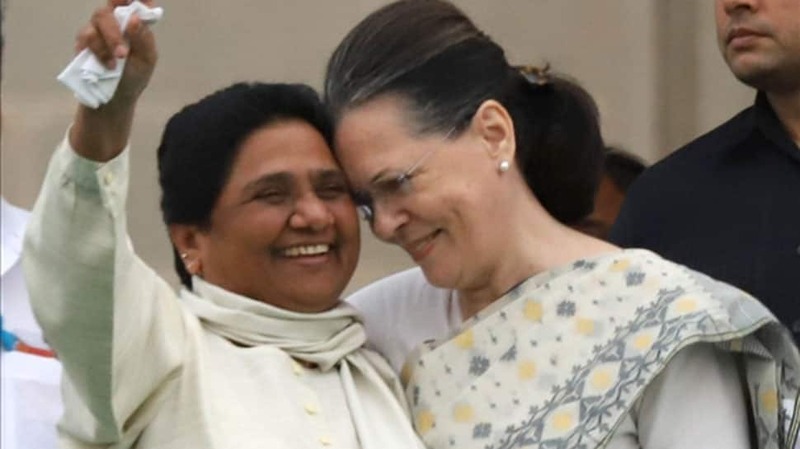 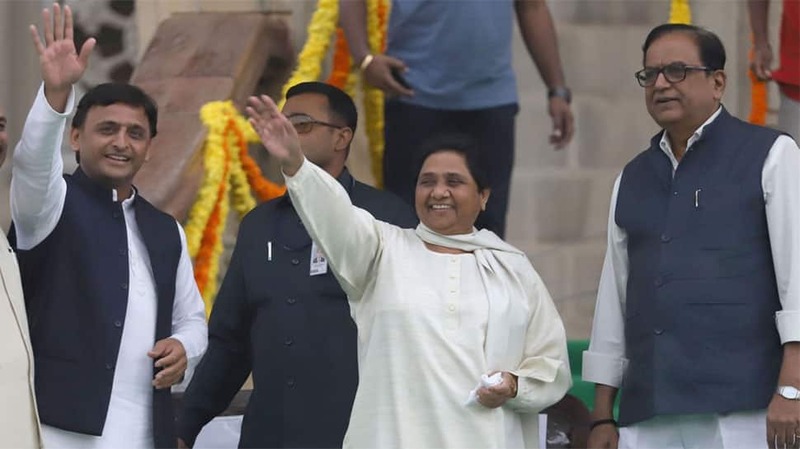 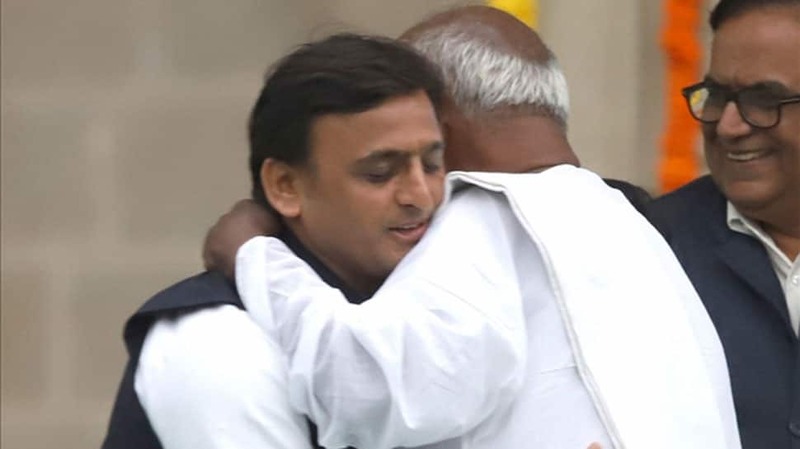 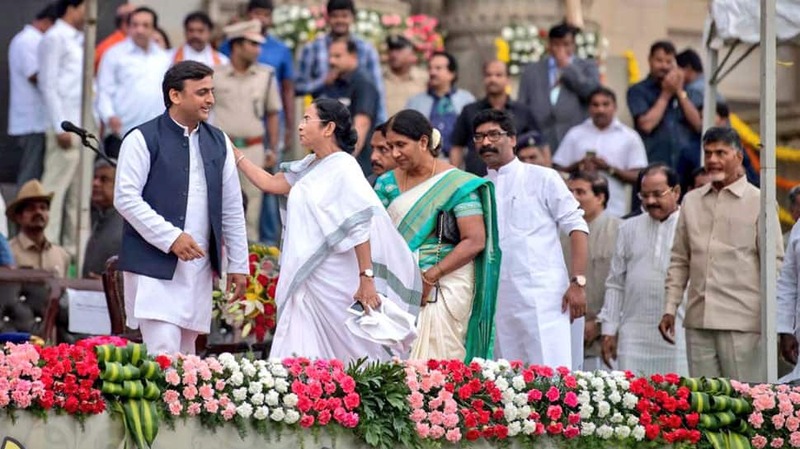 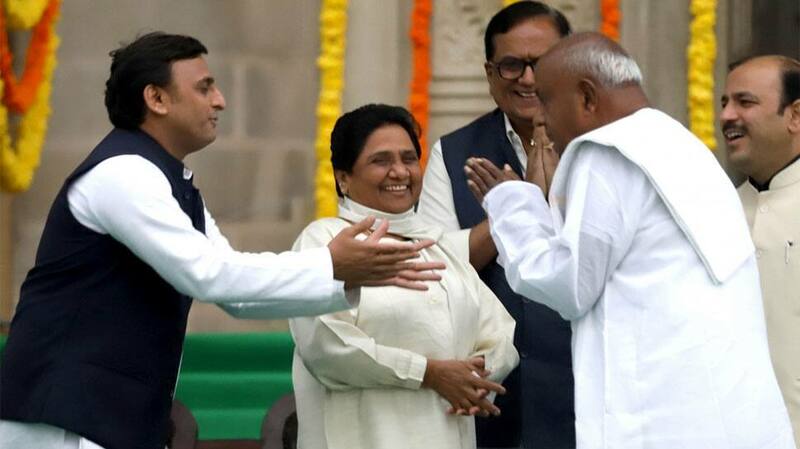 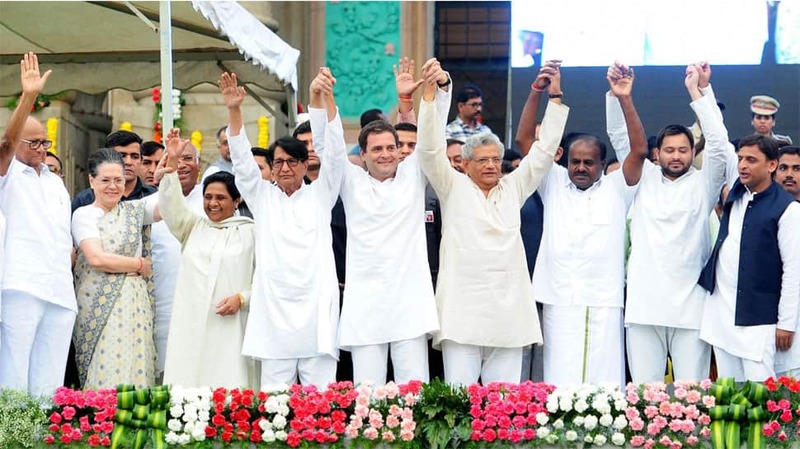 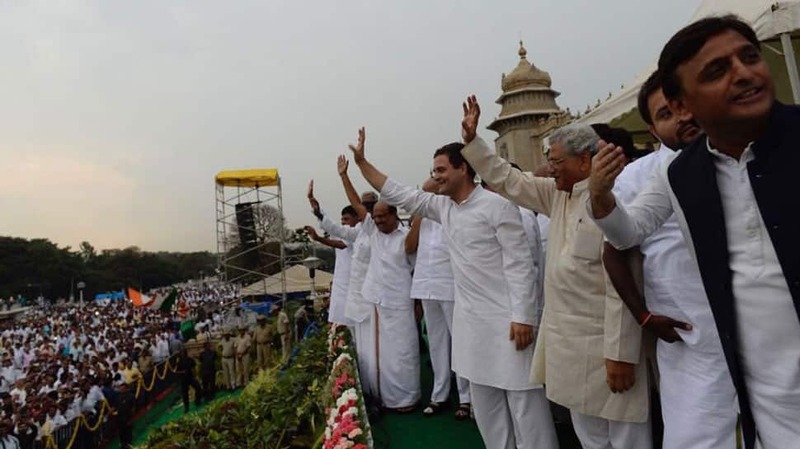 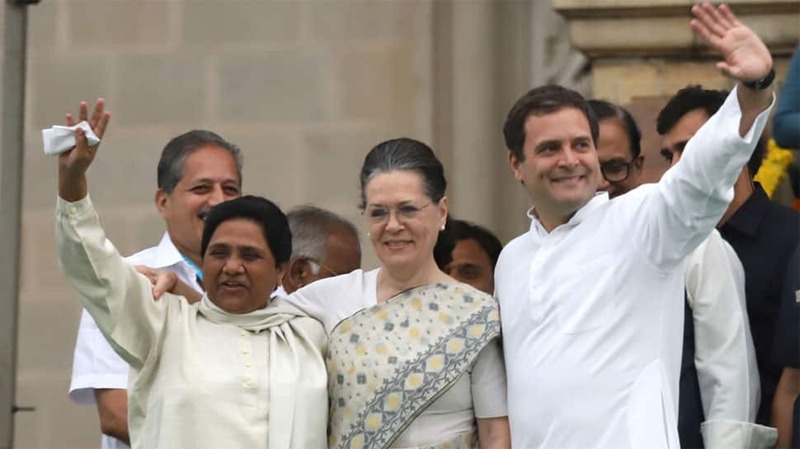 Tejashwi Yadav, the Leader of Opposition in the Bihar Assembly, BSP chief Mayawati and SP leader Akhilesh Yadav, NCP leader Sharad Pawar, CPI(M) general secretary Sitaram Yechury and socialist leader Sharad Yadav were also in attendance.